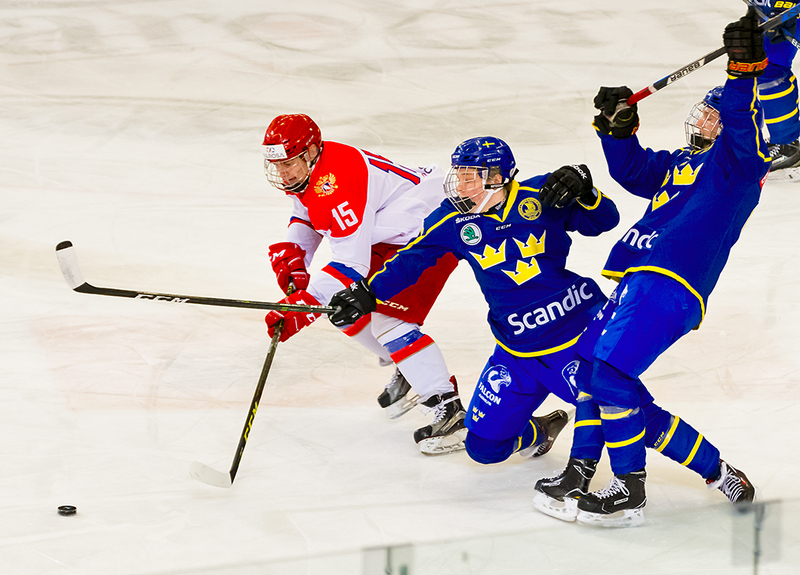 By recording a hat-trick in his team´s last game of the tournament, Swedish defenceman Adam Bokvist finished with five goals and two assists in four games. 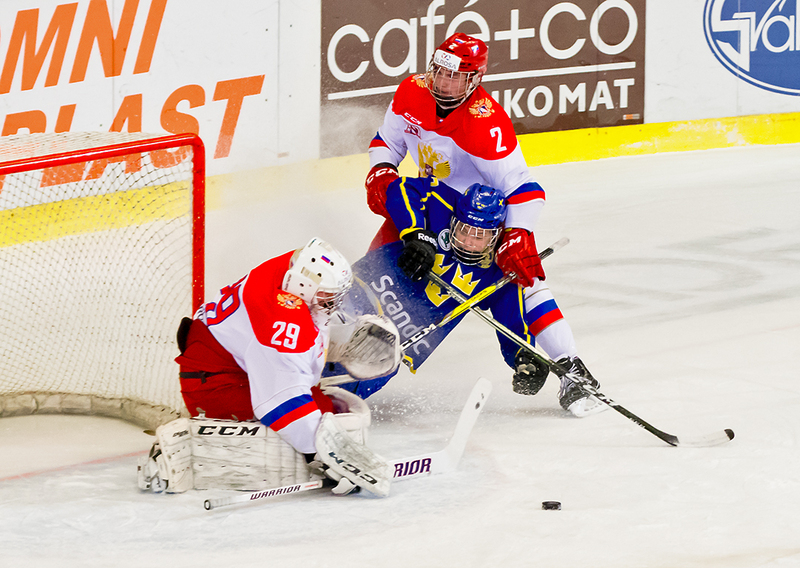 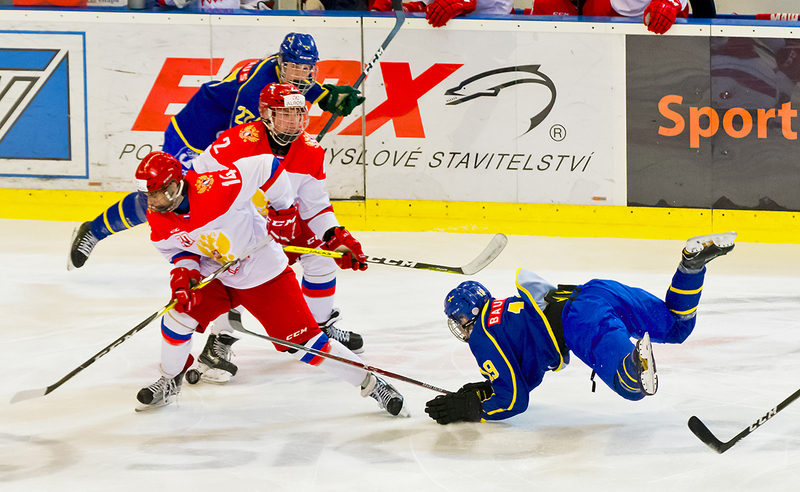 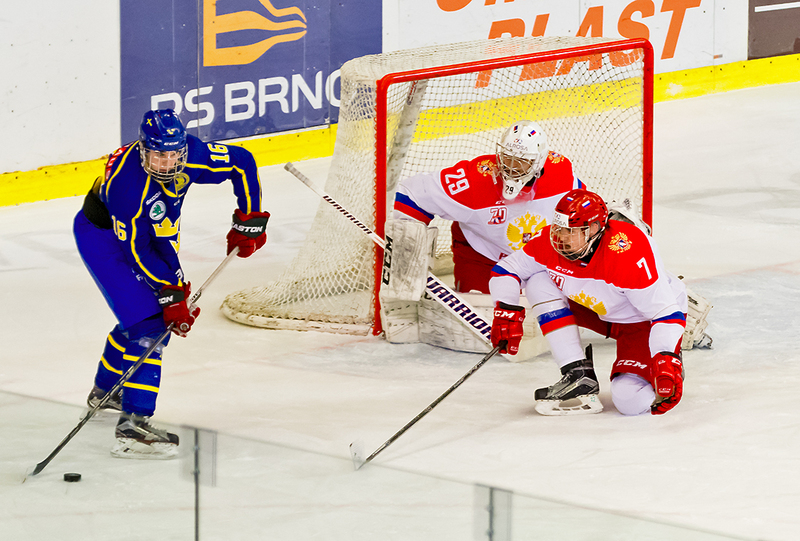 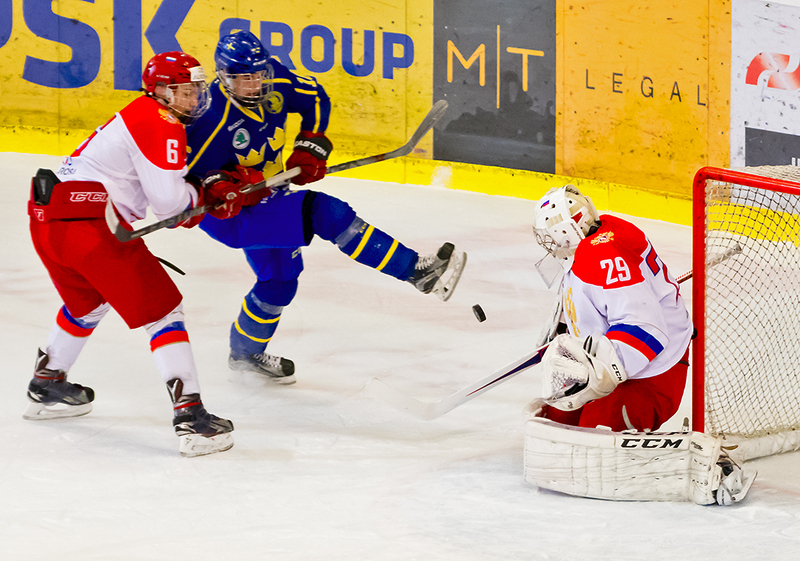 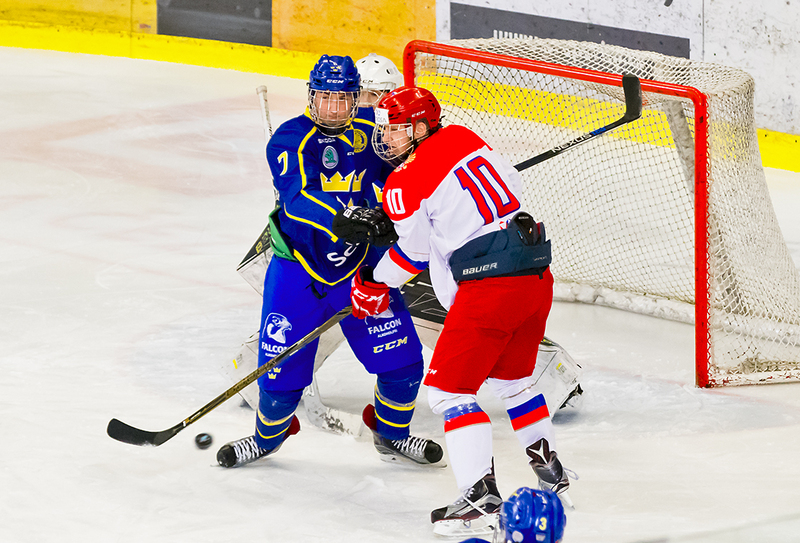 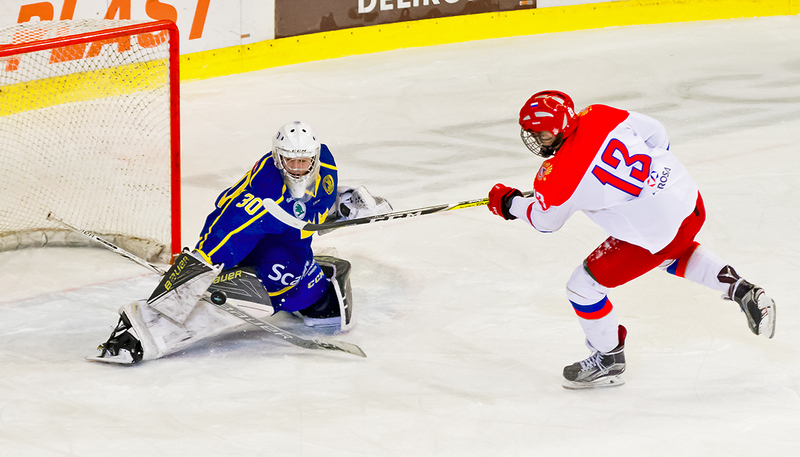 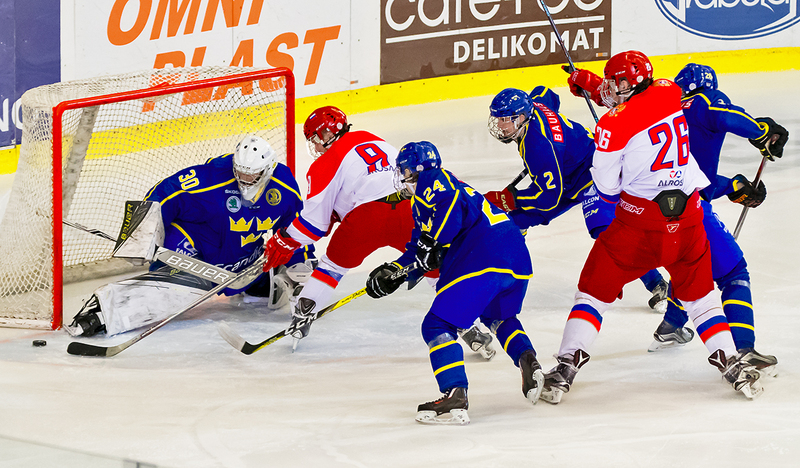 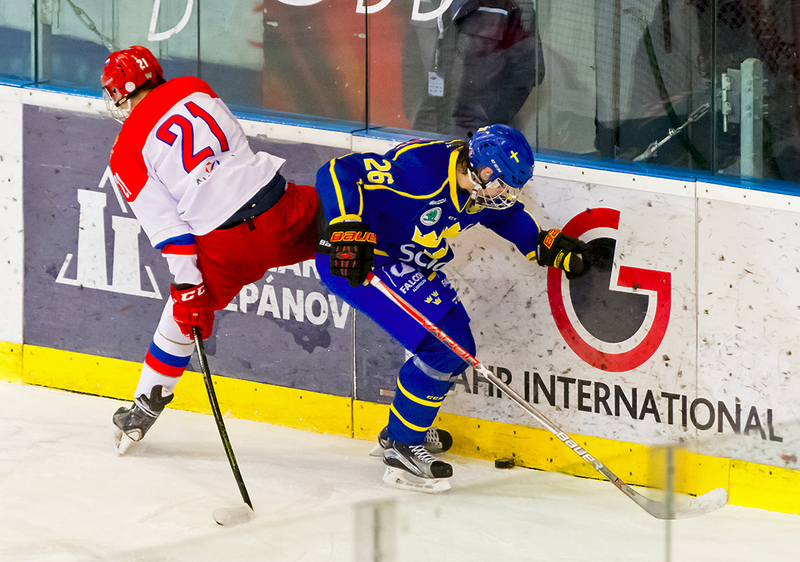 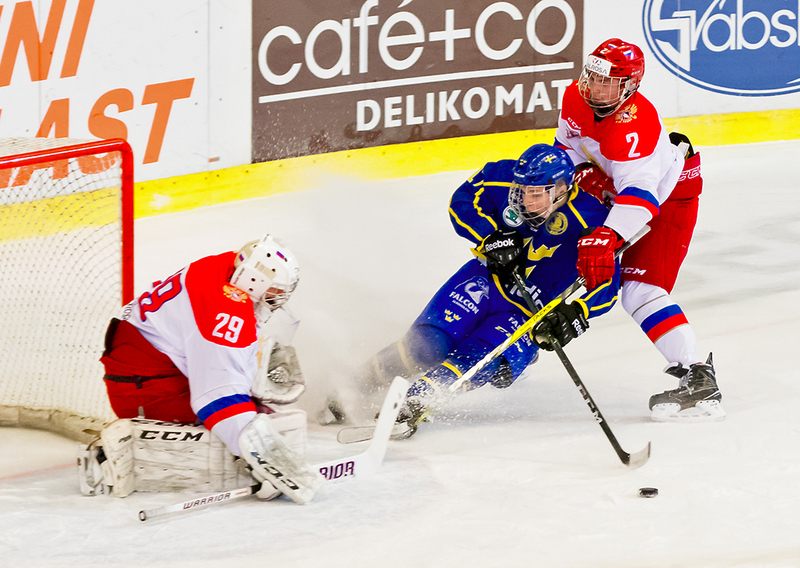 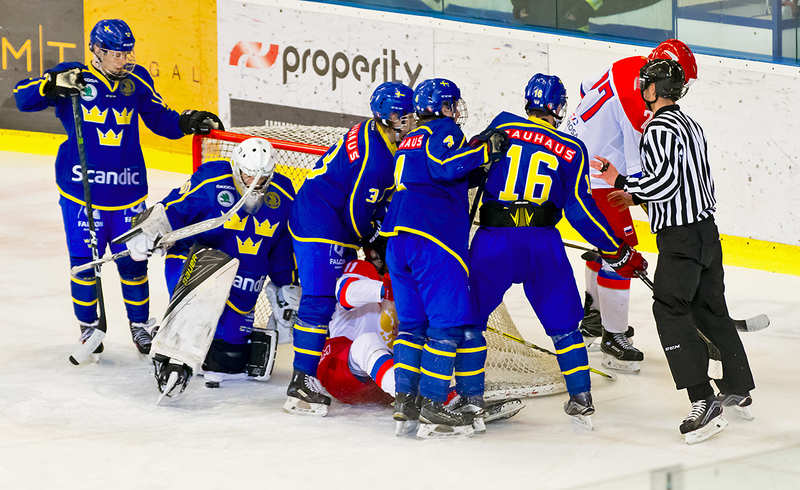 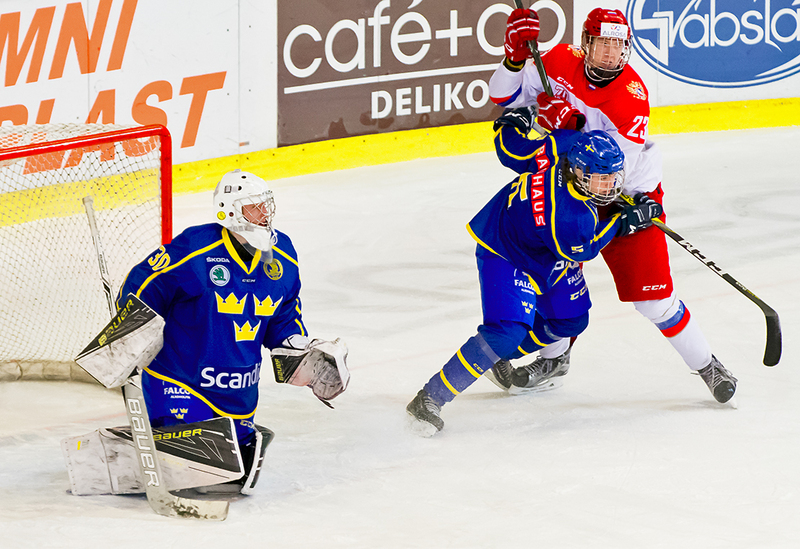 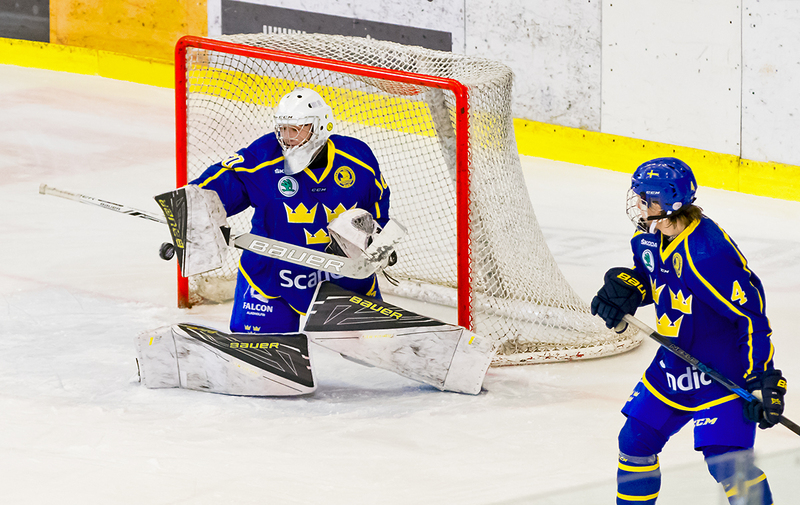 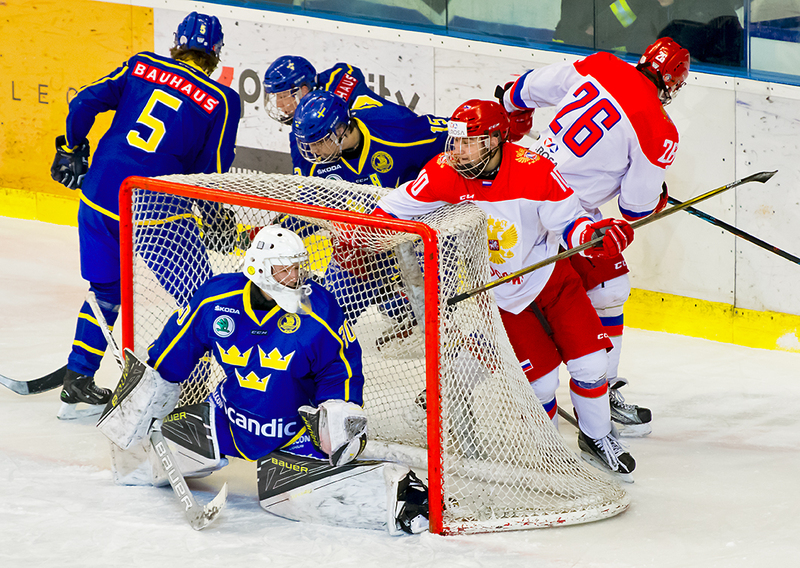 His seven points led all players in the tournament, as Sweden won its second major U17 tournament of the season. 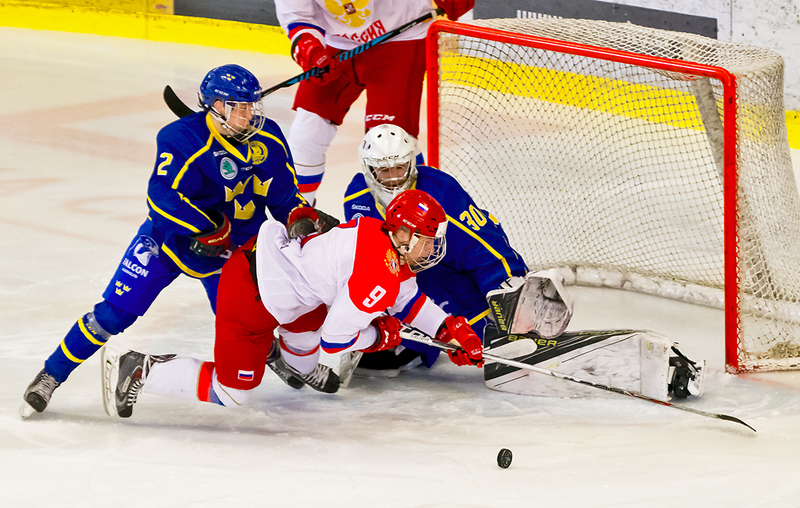 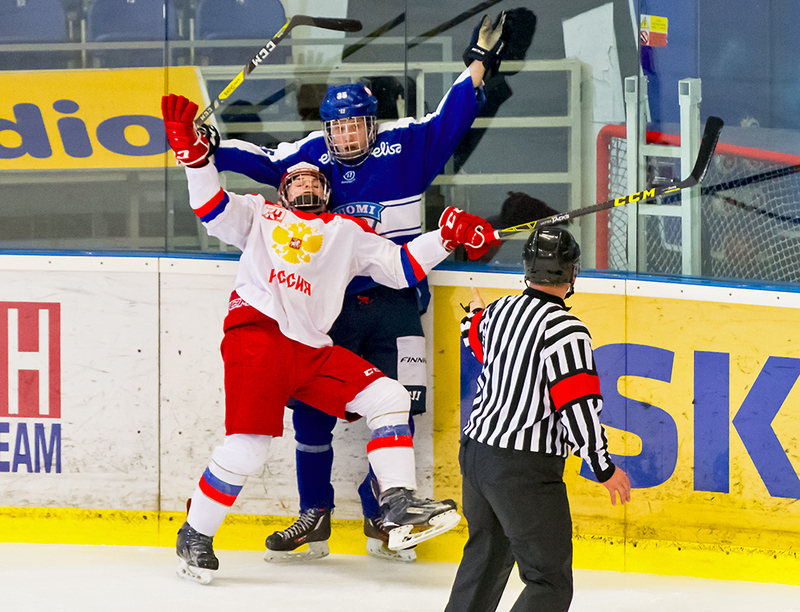 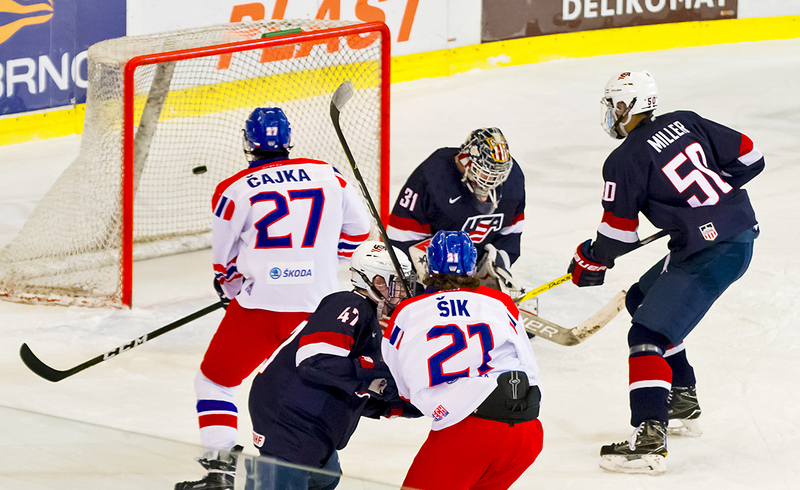 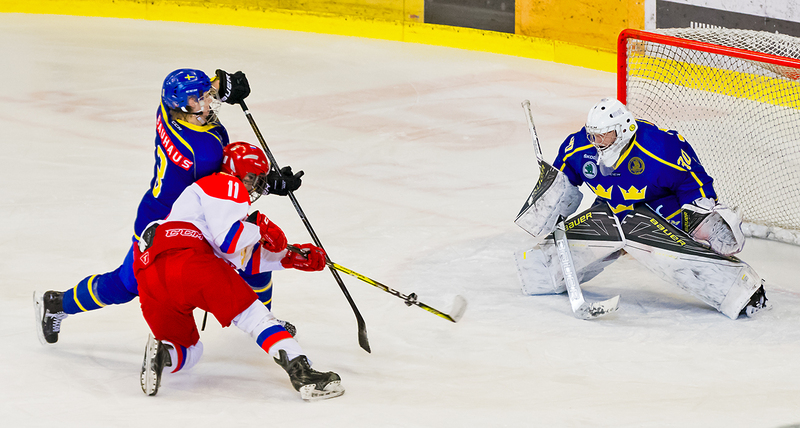 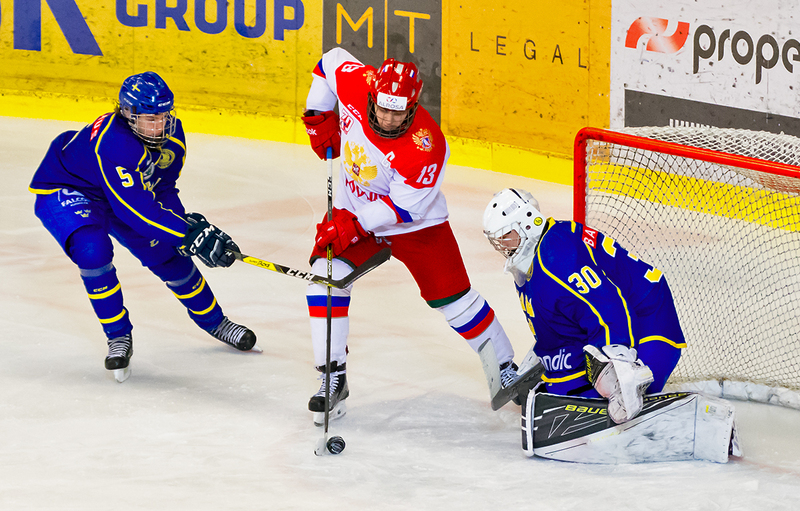 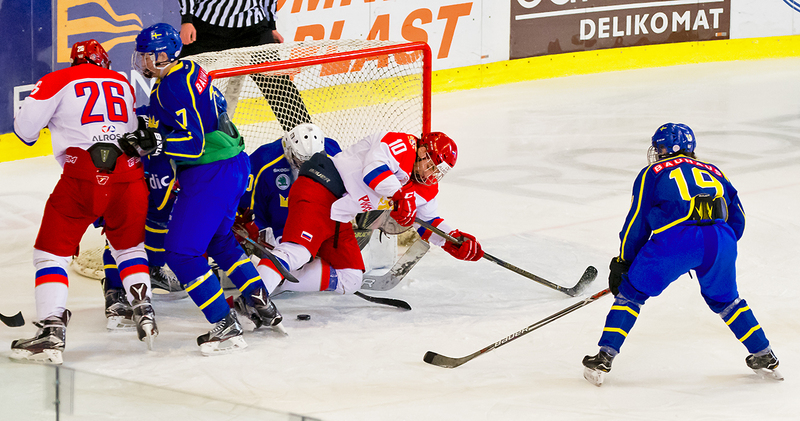 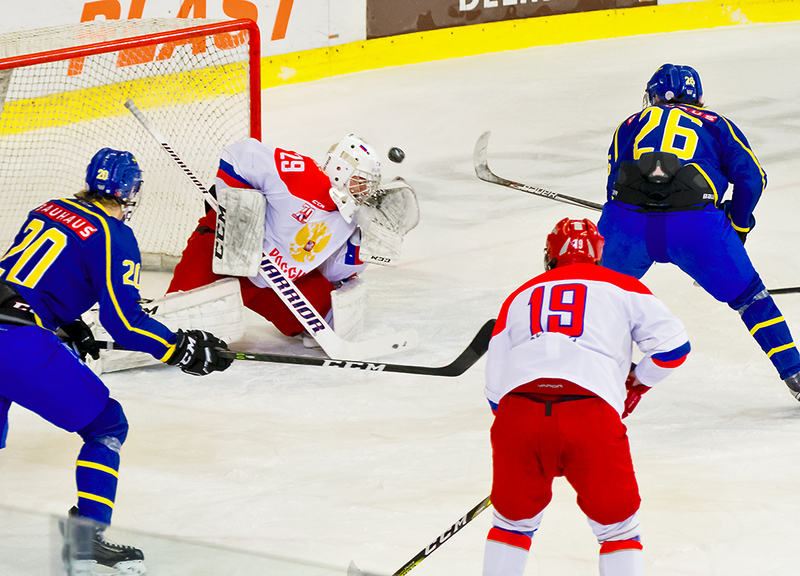 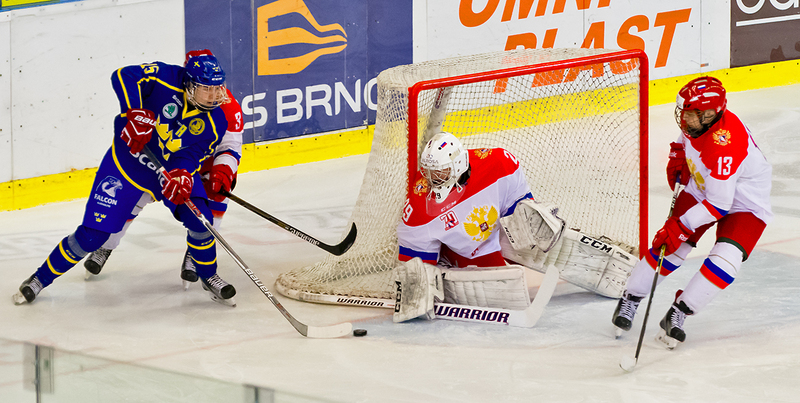 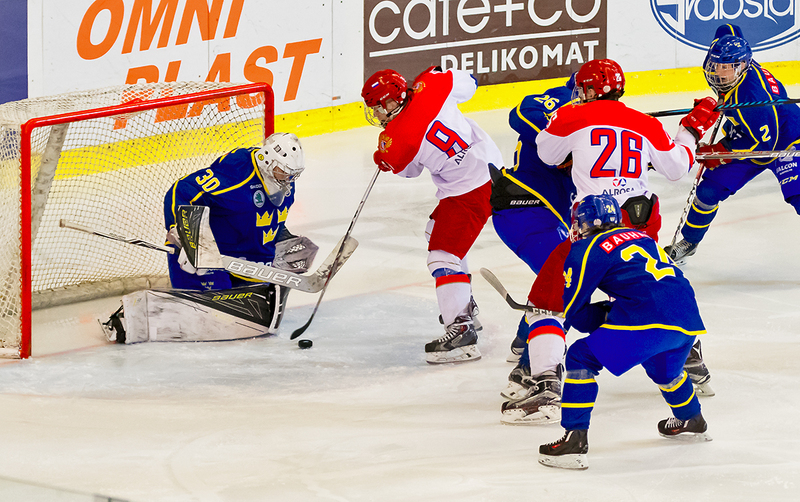 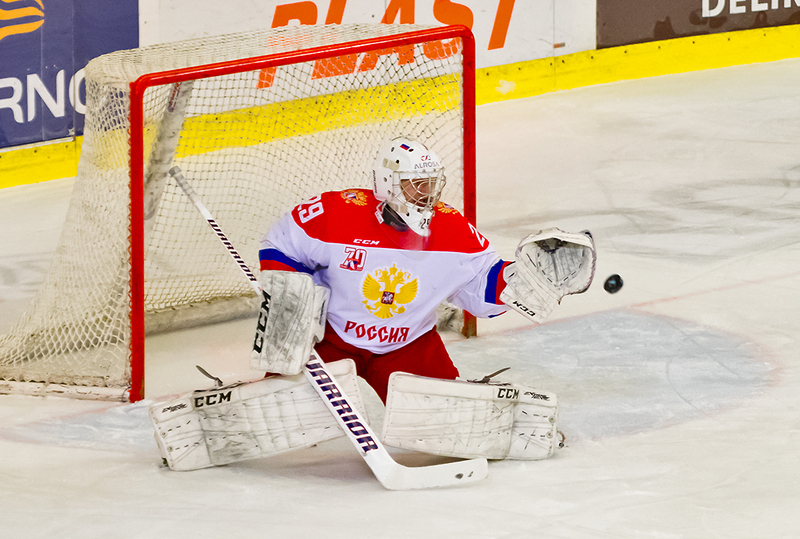 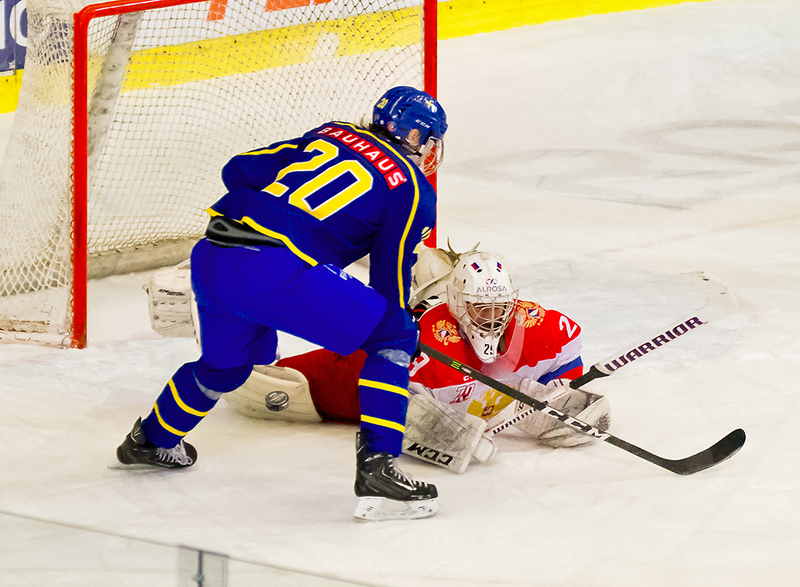 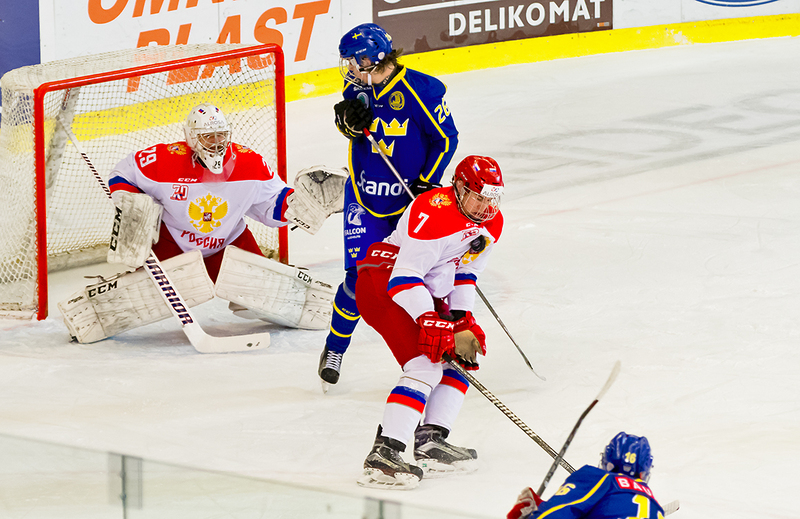 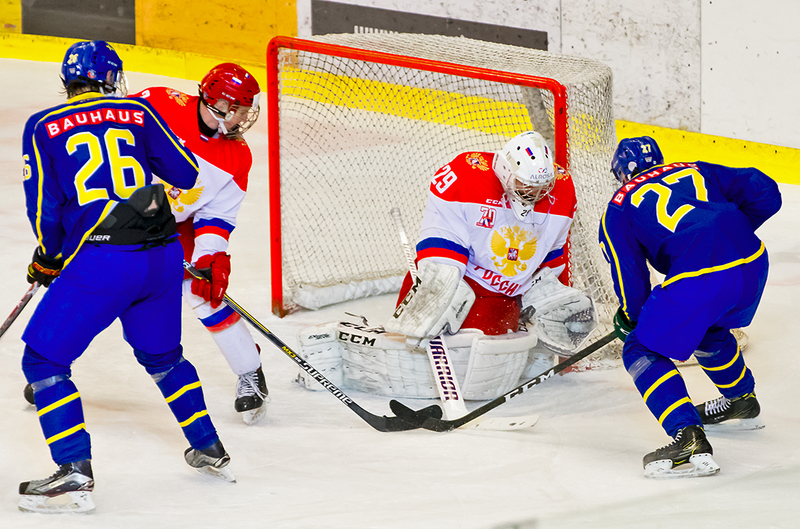 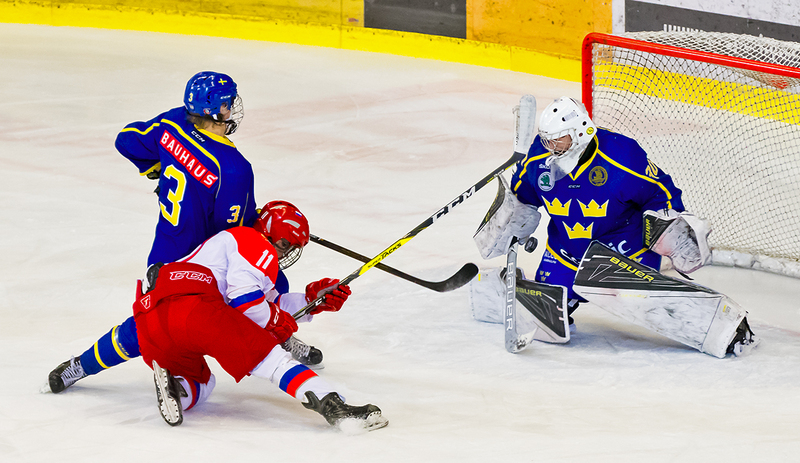 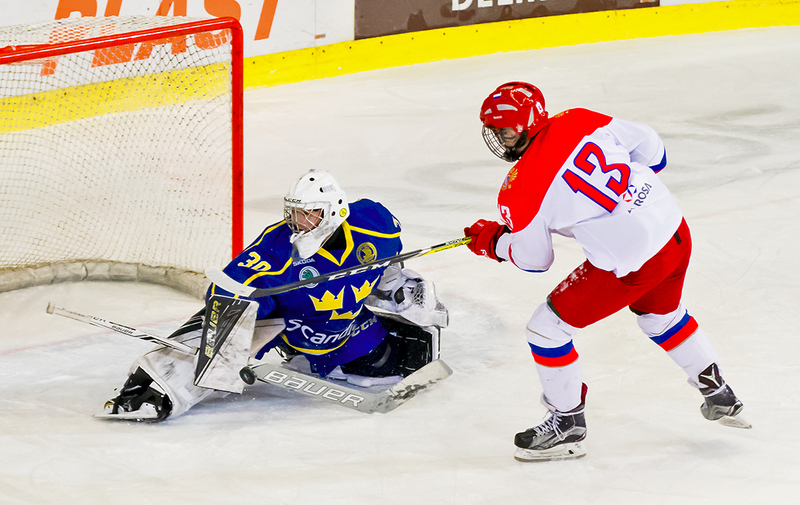 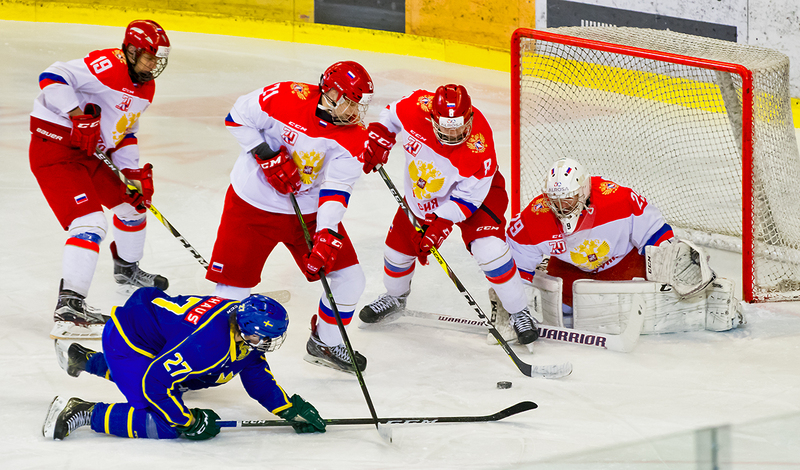 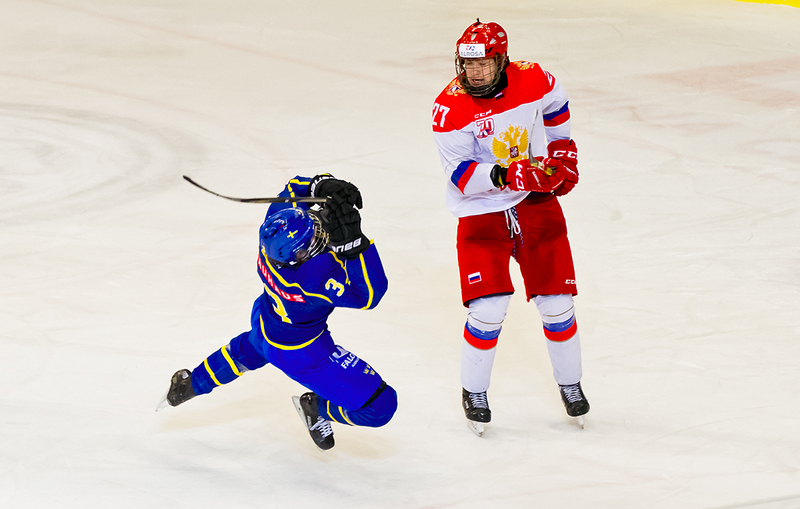 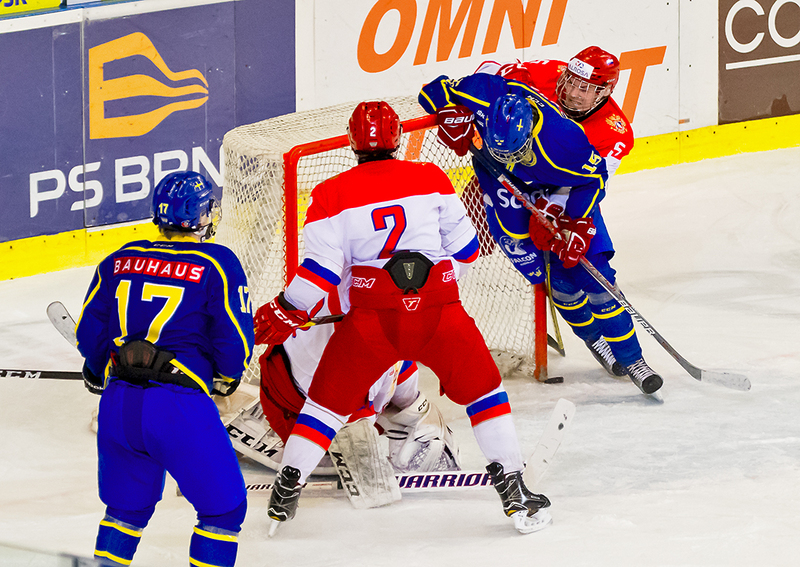 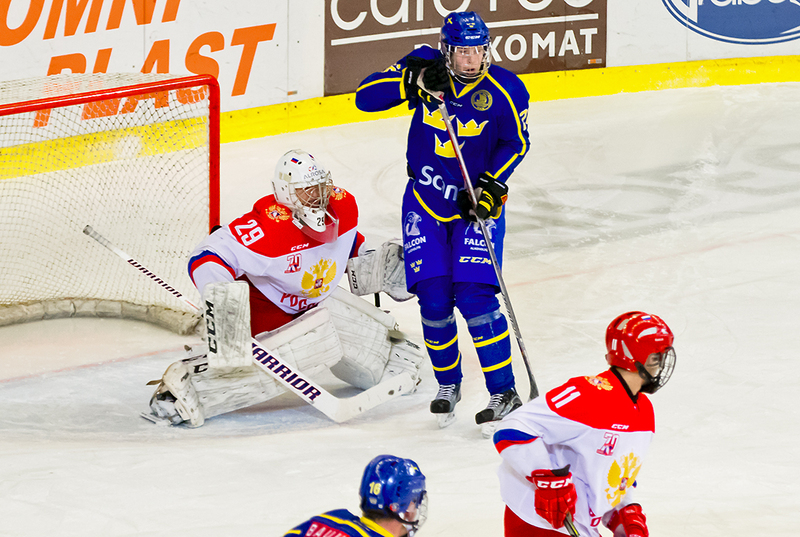 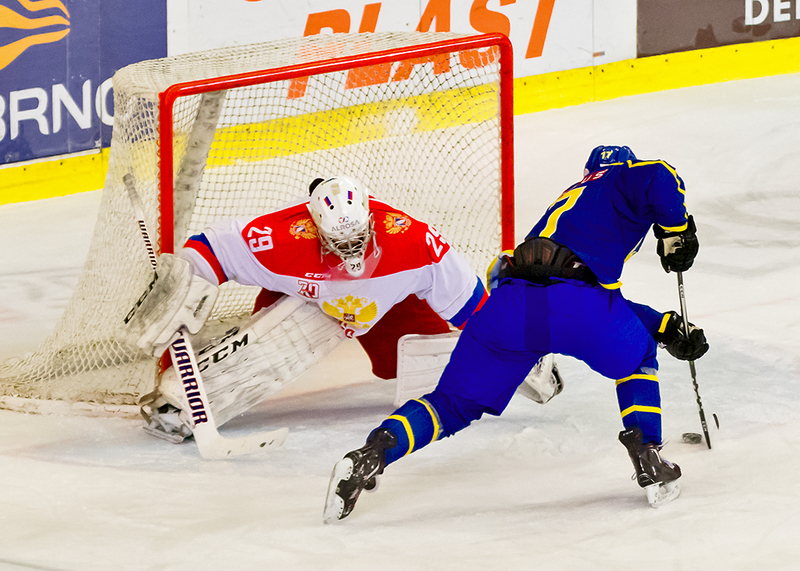 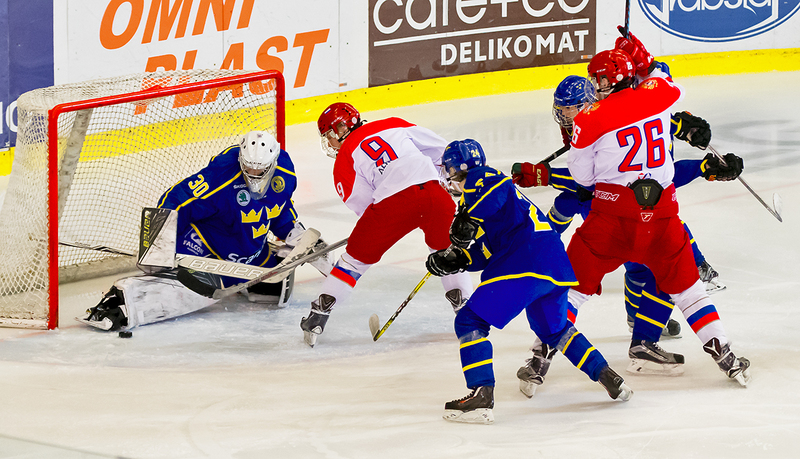 Pictured is Bokvist scoring the shootout-winning goal earlier in the tournament against the Czech Republic. 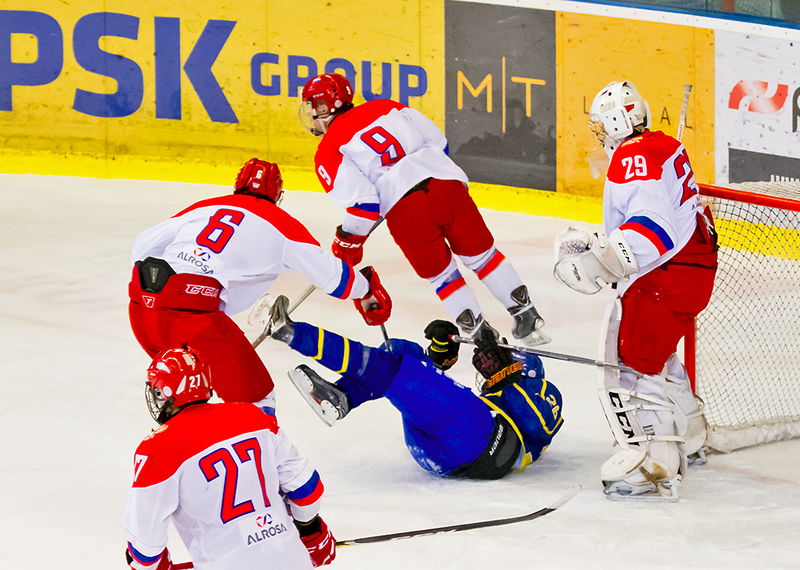 “I really like to join the attack,” Bokvist smiled after the game was over. 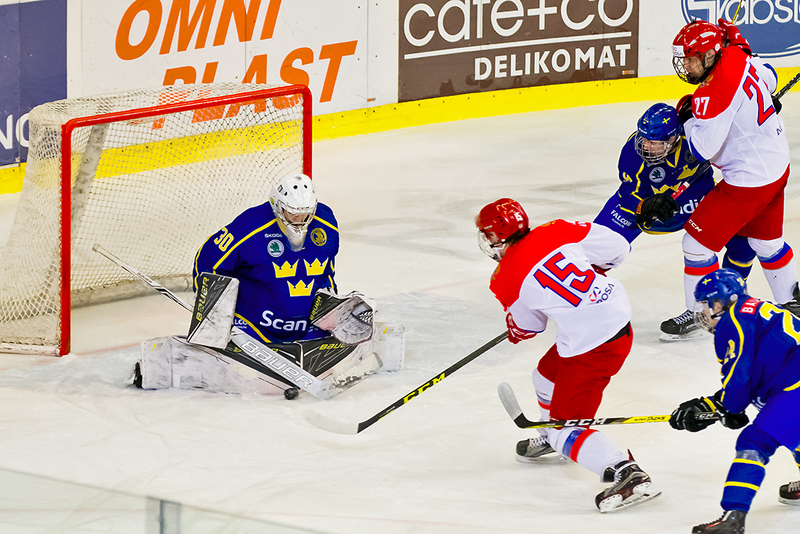 He certainly did join the attack in this game, scoring once in the second period and twice in the third to complete the hat-trick. 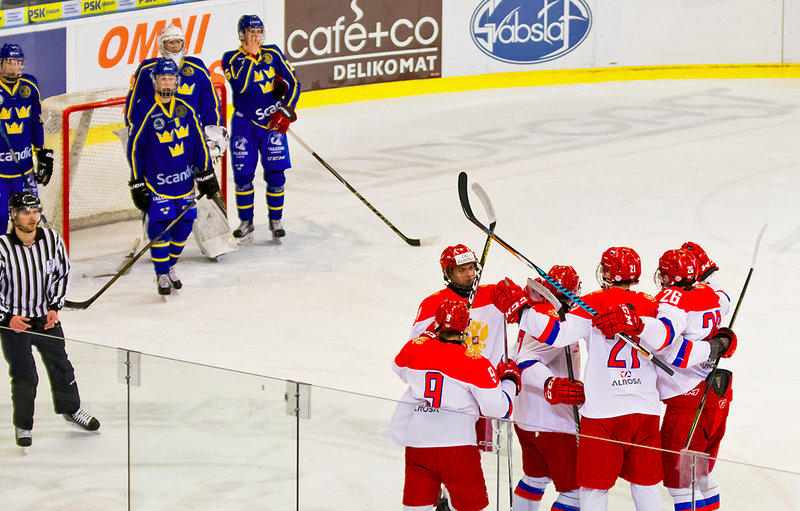 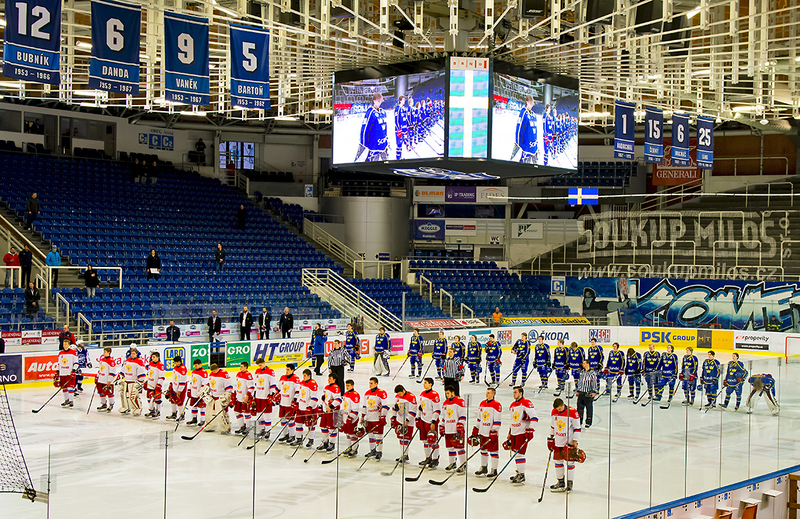 After the game was over, Swedish head coach Ulf praised Bokvist for his play in the game, and not just for scoring goals. 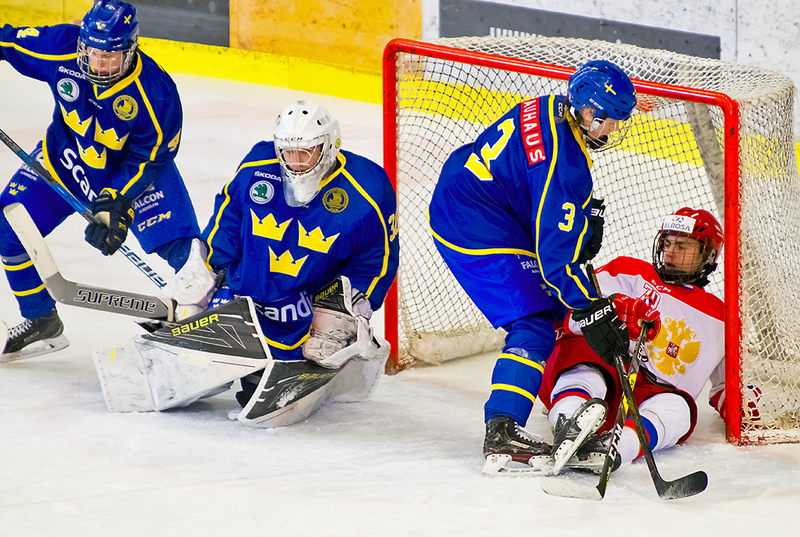 “Bokvist was definitely very good today, both on offence and on defence, which is important to remember,” the coach said. 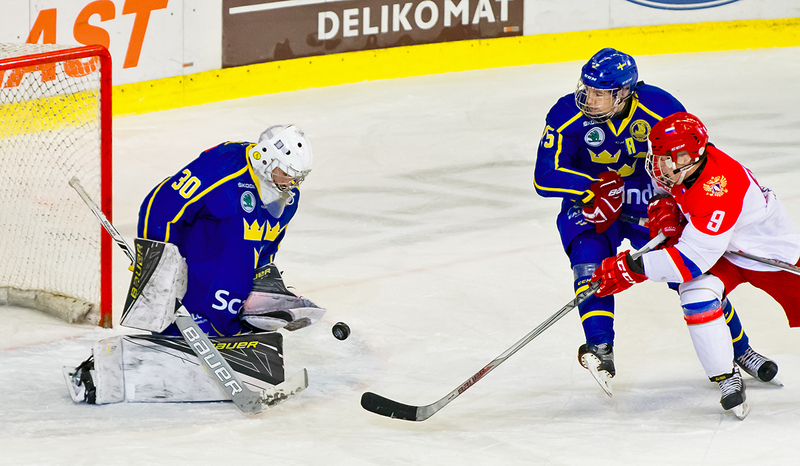 More than scoring a hat-trick and leading the tournament in points, Bokvist was happy about Sweden winning the tournament. 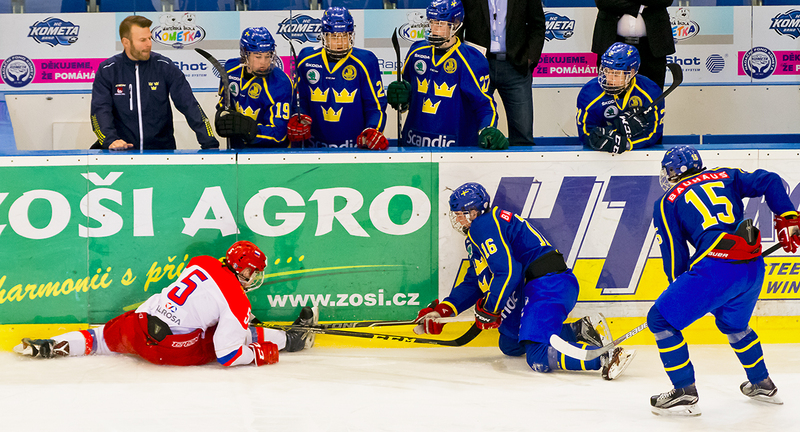 Maybe Bokvist´s not quite as good as Karlsson yet, but some might think it won´t be long. 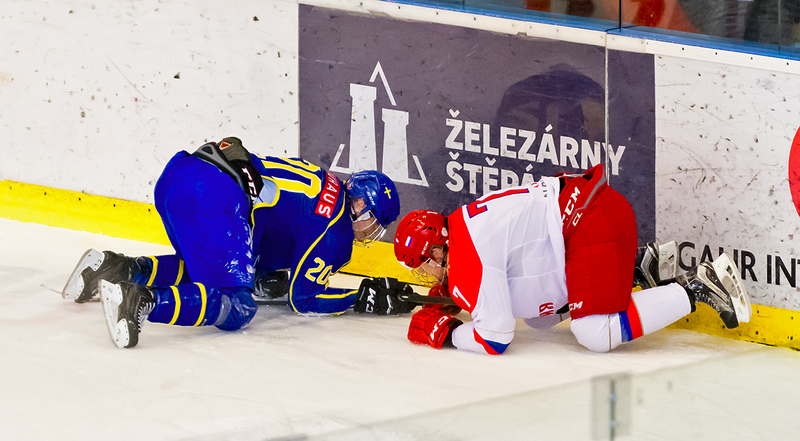 Fotografie patří k zápasu SWE-RUS 0:6 (10.02.2017).